Arguably the most famous drummer of all-time Ringo Starr decided to stop signing autographs in 2008, making his signature increasingly rare. 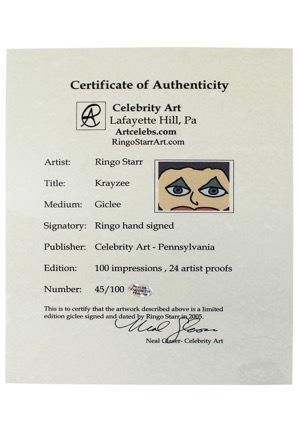 Offered is Starr's limited edition (45/100) lithograph titled "Krayzee 101". Ringo has signed the lithograph and dated it "05 and in our opinion the signature rates an 8. The art measures 21x17” and presents very well with some creasing and bending on the corners. 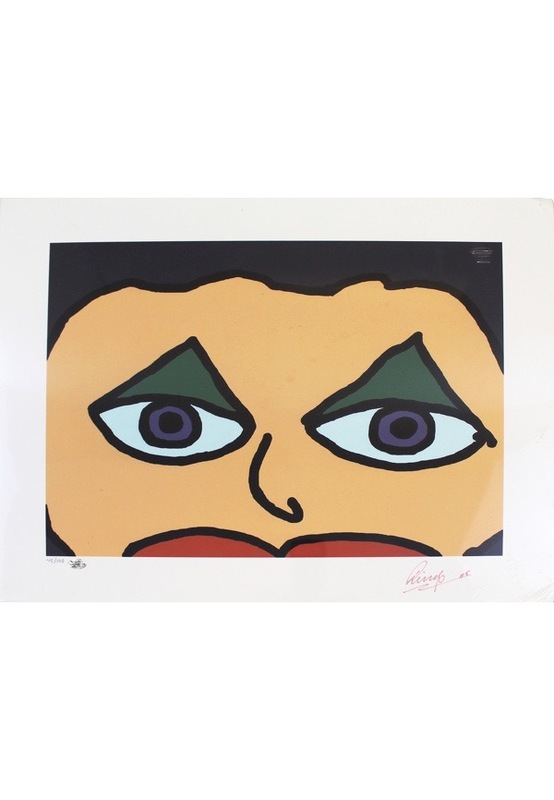 Accompanied by a LOA from JSA and a Celebrity Art LOA from the studio.